Harry Lee Kennedy, Jr., age 85, passed away Tuesday, February 12, 2019, at Providence Hospital. Harry was a former resident of Theodore, Alabama and graduated from Theodore High School. 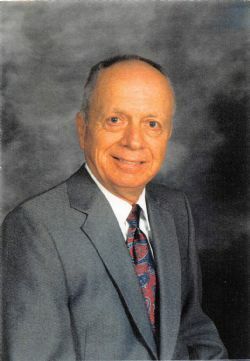 He then attended Auburn University and graduated from the University of Southern Mississippi. After college, Harry served his country in the United States Army. He was married to Patricia Ann Bolton and they resided for many years in Huntsville, Alabama where they attended University Baptist Church and he worked with Red Stone Arsenal. He was preceded in death by his wife, Patricia Bolton Kennedy and parents, Harry Lee Kennedy, Sr. and Eula Sanders Kennedy. Survivors include his sister, Sue Kennedy Parnell; brothers-in-law, Thad (Lillian) Bolton, Jr., Billy (Nanette) Bolton and Bobby (Rosland) Bolton; nieces, Allison Jackson Matheny, Jennifer Bolton, Elizabeth B. Ruland and Bridgette Bolton; nephews, Cliff Jackson III, Robert Bolton, Howard Bolton, Chris Bolton and Ben Bolton; best friend, Eddie Bolton; and great-nieces, great-nephews and cousins. A graveside service will be held at 10am on Saturday, 02/16/2019.